Fathom is a new type of cruise travel where passengers can make a difference in places like the Dominican Republic and Cuba. Fathom is supported by its sister brand, P&O Cruises. Launched in spring 2016, Fathom offers “impact travel” (travel with purpose). Passengers pay for a cruise and the opportunity to “become immersed in another culture” by working alongside local residents to improve the quality of life of the communities they visit. 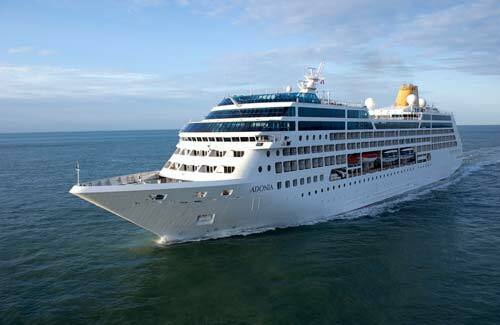 Fathom’s only ship is the Adonia, the smallest ship in the P&O Cruises fleet, carrying 704 passengers. In addition to typical cruise ship jobs onboard (Food and Beverage, Housekeeping, Deck and Technical), Fathom also recruits energetic and creative people to be their Impact Guides. Impact Guides stay on the ship for up to four months at a time and lead groups of 25 travelers as well as deliver on-board programming and workshops.